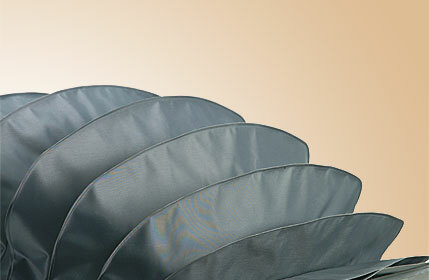 Derby Industries produces a variety of unique products for a wide array of industries. We apply our expertise and creative talents in order to provide solutions and answers to many problems. For example, we manufacture maternity mattresses, patient transfer solutions, air bladders, cosmetic bellows for hiding mechanical components, and even crash bags for high speed go-kart tracks, to name a few. If you have a unique need, our team can work to create a solution.